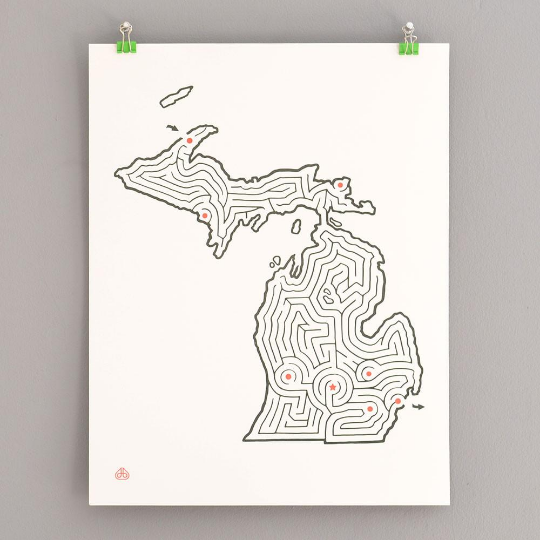 Celebrate maps & mazes with this amazing Michigan Maze print! Ready to frame and hang on the wall. This is one in a series of State Mazes by David. He designs all of his mazes by hand, carefully routing a challenging path from start to finish. Enjoy an awesome graphic which also happens to be a fun activity!